There were certain candy brands that I liked as a kid. 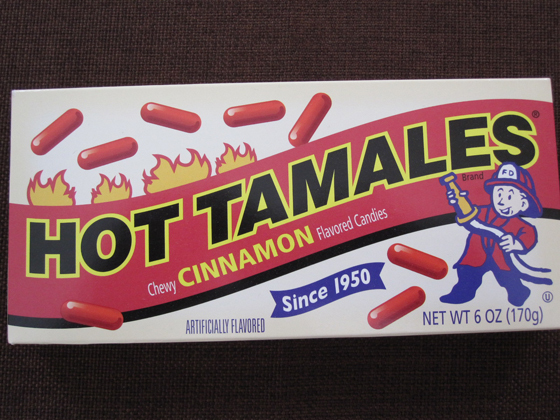 One was Hot Tamales, which back in the 70’s, you could get a small box for a nickel. The bigger box was 15 cents. Chewy with a kick, I ate these on a regular basis. My mom was anti-sugar, so as with breakfast cereals, I had to eat these on the sly and away from home. There were other types like Mike & Ike’s, which I did like, but not as much as the Hot Tamales. So it was very cool when I found this retro box at the store a few weeks back. Fortunately, the candy inside was fresh and tasty. Also a nice memory from my early days as a child were Certs. My mom loved Certs, mostly the mint kind, but on occasion, she would get other flavors. One of those flavors was Classic Fruit. This is not to be confused with Assorted Fruit, which were different fruit flavors of the mints than Classic Fruit. The Classic Fruit was a white mint with little red sparkles in it. The taste was more like candy and it had a really nice. After my teen years, I never was able to find these in the states. Then in October 1999, I visited Montreal, Canada and found them at a grocery store. I bought 30 rolls. If I knew of anyone traveling to Montreal, I would kindly ask them to bring back Classic Fruit Certs [this required some explanation about my love for a candy mint from my childhood]. 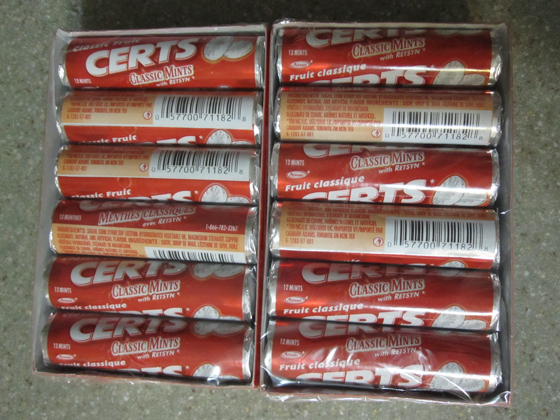 Then many years later, (about 18 months ago) I was talking about my favorite Certs flavor on Twitter and a follower offered to send me some. And she did [which is the package pictured above]. So far, I’ve rationed them very well and may not need to find more for a few more months. Any favorite candies or mints from your past that you liked? Are they still available or have they gone the way of the discontinued path? My Dad LOVES hot tamales! I remember I would always get two boxes (one for me and one for him) and he would always eat his and then poach mine under the guise of keeping out of all that sugar. That is cool. A great memory with your dad. These things have been around for years now. Wow, you’ve got your pulse on the whole retro scene mate 😉 You seen any of the 7-up cans yet? I have seen the 7-Up Retro cans at our local Smith’s grocery store. I’ve picked them up yet, but should soon. I found them at an IGA grocery store off hwy 15 just before it converts into hwy 134. Granted, this is 12 years ago, but I’m sure if my friend in Toronto can find them, they should be available. Also, try a store that sells bulk items like a Costco or other warehouse store. I would have to contact my friend to see what store she bought them at.